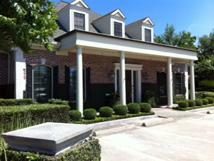 Wright Abshire, Attorneys, A Professional Corporation, is an elder law firm in Bellaire, Texas. Our award-winning team of attorneys is led by partners Wesley E. Wright and Molly Dear Abshire, who are both Certified Elder Law Attorneys (CELAs) by the National Elder Law Foundation and have nearly two decades of experience representing individuals and families throughout Texas. We provide a range of skilled legal services in the areas of Medicaid planning, estate planning and probate, and guardianship administration. One of the most important aspects of planning for long-term care is ensuring that an estate plan does not hinder Medicaid eligibility. Our attorneys thoroughly assess our clients' financial situations and existing estate planning documents, like wills, powers of attorney and directives to physicians. We structure complete estate plans to preserve eligibility for Medicaid and preserve as much in the way of assets and income as the law allows. We also offer comprehensive planning services for veterans. We assist our veteran clients with applying for and obtaining available benefits from the Department of Veterans Affairs (VA). We skillfully devise our clients' estate plans to ensure that they are not prohibited from receiving other vital government benefits. We encourage our clients to begin the estate planning process as early as possible. However, our goal is to provide superior legal representation to clients at every stage of life, from those who are planning long into the future, to individuals who have experienced recent life changes and need experienced estate planning guidance. We prepare all types of estate planning documents, including wills, trusts and advance health care directives. Our firm has considerable experience tailoring estate planning documents for clients who have disabled children and other loved ones with special needs. We set up Special Needs Trusts that allow our clients to provide financial assistance without compromising eligibility for government benefits. We also assist our clients with navigating the probate process. When grieving the loss of a loved one, our clients can rely on us to ensure that the deceased's estate is properly distributed in probate in a timely, cost-effective manner. As experienced elder law attorneys, we have a deep understanding of the sensitivities that can accompany guardianship issues. When a loved one's condition requires that he or she be looked after closely and a comprehensive estate plan is not in place, we can help our clients ensure that their loved one will be cared for through the guardianship process as well as regular reporting to the Court as to the health and financial status of the Ward. An overview of Medicaid Estate Recovery inAn overview of Medicaid Estate Recovery in Texas and opportunities for saving your home, farm, or ranch from Medicaid Nursing Home Reimbursement claims. An up to date, comprehensive resource for Texas Elder Law practice. It covers common issues facing elderly clients and provides practical guidance illustrations, and explanations of foundational law, regarding many vital topics.